Gumshara Ramen is a place you’ve probably heard of from friends or family, it’s possibly one of the most talked about ramen places in Sydney because of the soup. 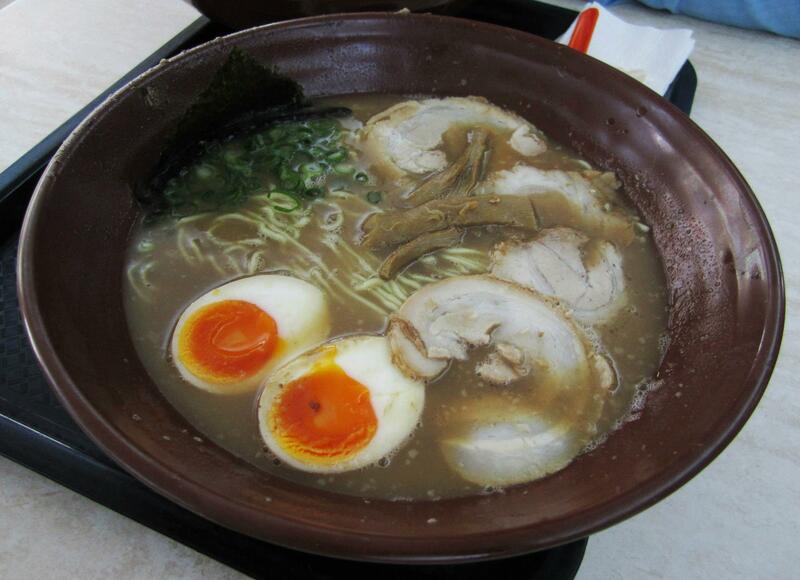 The above bowl is the standard Tonkotsu ramen with EXTREMELY thick soup, I personally don’t like how thick it is but there are many other options for soups at Gumshara (I believe the Hokkaido Ramen is identical but less thin). The major drawcard for many is definitely the soup however and most rave about how great it is, I agree that the taste is definitely well above average and quite genuine in comparison to Japan. There’s not much else to say about the dish however as the meat, noodles and other condiments are the stock standard as you would expect for Ramen. 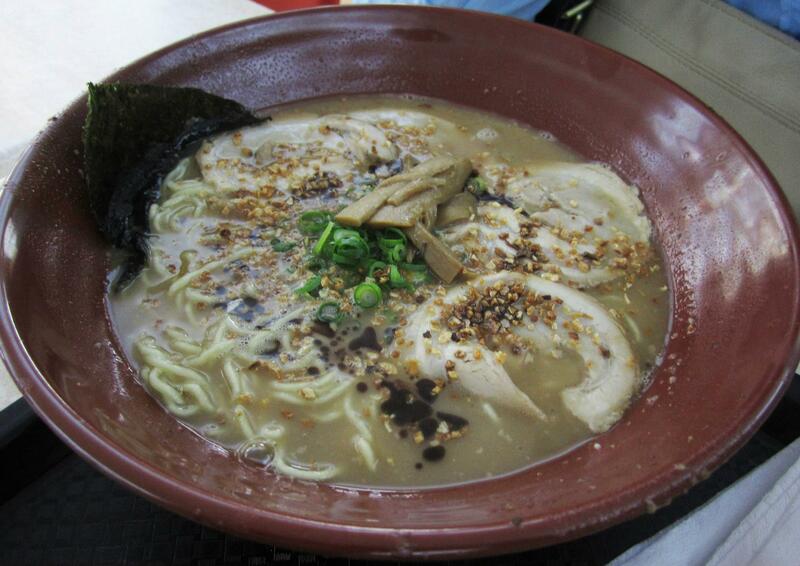 I personally preferred the below dish as the Garlic Ramen soup was slightly thinner which is perfect for my taste. If you love thick ramen soup definitely give Gumshara Ramen a try as it’s probably the best in Sydney, the prices are reasonable at around $10.50 for a big bowl of filling noodles. Lunch time lines can get quite long however and finding a table amongst the busy food court can be quite difficult during peak hours (lunch and dinner).